After the agitation of the presence of EFCC and other security agency in Ogbomosho , rumours confirmed that hustlers have fled to Ilorin for safety purpose. 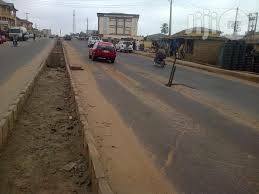 This , however, have made the presence of Police to be more intense on Ilorin-Ogbomosho road . Two students which are unidentified have however be nabbed by the police earlier today on the major road of Ogbomosho to Ilorin . The victims were said to be in a Toyota Corolla 2017 model and had hard-drugs on board . After their arrest , bails have been offered to the policemen by friends and families of the victims , but they didn't accept that for now as they are under torture currently .